For those of you that were unable to attend the NYE party at The Fickle Peach, you missed out on a killer time. Fortunately for you, I managed to record a good bit of the show. You can download the entire Bashville Boys performance by clicking HERE! If you don’t feel like downloading… You can go stream the entire performance at musicalfamilytree.com/band/reber_recording. First thing first… Here’s the video. If the video doesn’t leave you thoroughly satisfied and you’re looking for a little something extra, you can proceed to read through my random thoughts and reactions after. From time to time I get asked to help organize a show or event for a friend or acquaintance and I usually take care of booking bands, in addition to securing a PA and running the sound. I don’t mean for that to come off as some snoody sounding, I’m-full-of-myself-style, comment. I just have the privilege of meeting a lot of musicians as a byproduct of being a recording engineer. I can recommend different bands depending on how well their sound meshes with the event at hand. 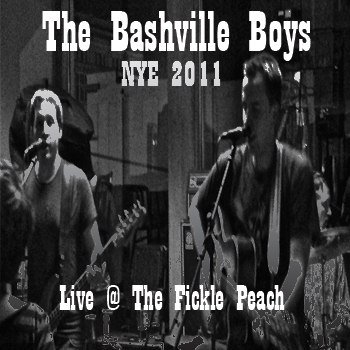 I received a call from Chris Piche asking me if I could book a couple of bands for their big New Years celebration at The Fickle Peach. I enjoy working with The Fickle Peach and the owners are swell guys so I jumped on my phone to make a few calls and write a few emails. Although my original line-up proved to be full of holes, I was able to secure three solid bands; The Pottersfield Boys, Cowboy Angles, and We Are Hex. The only hiccup in my night involved trying to locate a mixer for the show that night. I ended up purchasing a used 12-channel Electro-Voice mixer instead of renting one. I figure that it will be a good insurance policy to have in the future if I run into a similar problem. I don’t want to find myself relying on someone else to provide a mixer at the last minute and fall through. Nope, better to have my own. Anyway, here’s some video of We Are Hex performing at The Fickle Peach for New Years 2011. I set up a few microphones to capture the live sounds and then synced them with the video. Over the weekend I recorded a band (comprised of good friends of mine) by the name of “Stomping Ground” in a vacant apartment in downtown Muncie. 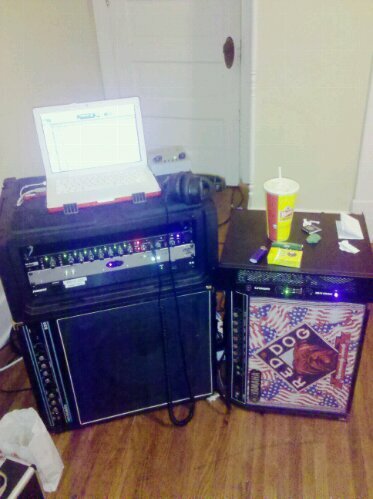 Beer, space heaters, microphones, and tube amps. This was the first time that these guys have played together in five years. I took it upon myself to record the reunion and capture the excitement of playing again. Since the intended audience for these recordings was going to be the band members I decided to be liberal with recording times and made sure to capture as much conversation between takes as possible. I got over 3 hours worth of audio. Everyone had a great time. It will be exciting to go back through all of the audio. 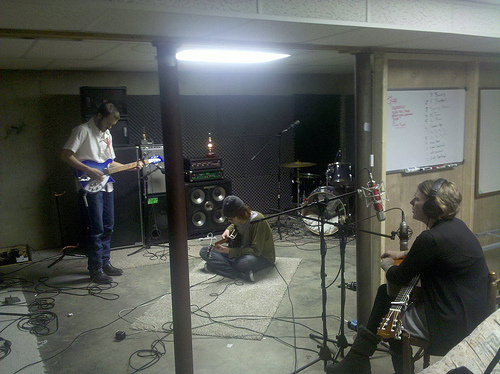 A while back I recorded a live demo of the song “What is True” for the band Apsara at my Reber Recording facility. The demo session was video-taped and synced for submission to the Verizon Wireless Music Center booking department. The band was nice enough to send me a copy of their submission video so that I could share it with everyone. My friend Arrah and her band, Woodlands, were kind enough to come into my studio to perform an exclusive live set so that I could record it and share the tunes. 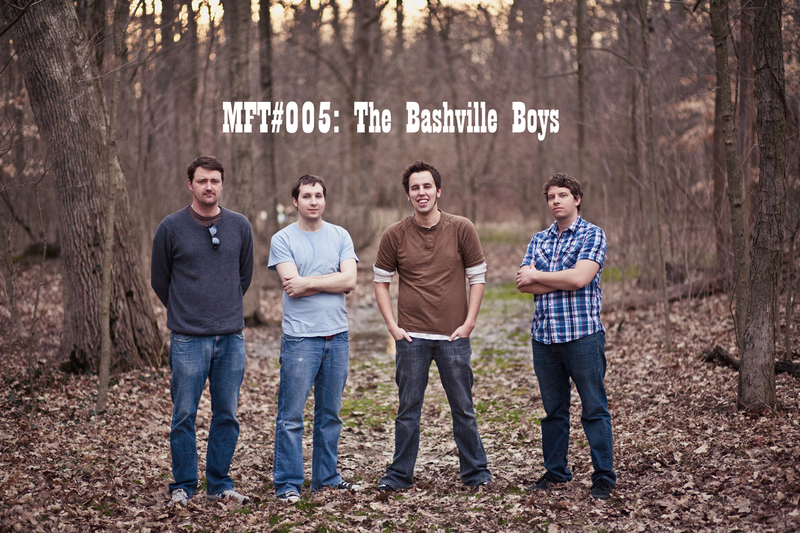 The recording took place in the early morning hours of Black Friday, 2009. Good times, good tunes, and a gigantic bag of Doritos. For MP3 download click here. For WAV download click here.